It is a satisfactory product I want to buy it again next time. This review is about item#6299711. Used for tap hole work in the street. I bought it because it was OSG, but it was a maid in Korea. In addition to the manufacturer name, please also indicate the country of production. This review is about item#6299702. Sounds good. It is truly. Together with the tapping spray of the monotary, it will eat pleasantly! ! This review is about item#6622542. It was possible to use it for tap raising of SKD SLD without problem. I will continue to use it. For stones for stones, the sharpness was good, even with a manual tap it was not necessary to switch back. This review is about item#06299702. There is no problem as long as it is oiled. However, if you do not turn it, it will break. This review is about item#6299727. We are using it for making threads into stainless steel (SUS 304) through hole. Previously, I used a hand tap, but this point tap raised working efficiency because cutting waste is discharged in the direction of tool advancement. Since it is a leading manufacturer, the product is satisfactory as a matter of course It is a pleasure if there is profitable for 5 sets etc. This review is about item#6299736. Used for stainless steel thread cutting. I do not have any complaints. Even if it is somewhat expensive, I chose a product of trust. It is useless if you break up on the way. For SUS use, the stop side of the tap gauge has passed. Because it was a noisy job, I used it as it was until the end of its life. This review is about item#06299745. Purchased to make threads on a thick iron plate, originally for stainless steel, I cut the Don Dong mountain without breaking. I tried to make an aluminum servo horn by myself and used it for 2 mm thread cutting, the tip was broken and clogged at the second thread cutting. Every recovery I tried to reopen failed and eventually it will not be usable. Since aluminum is fixed to the cutting edge, the mini-milling cutter cut hands to cut off cutting oil carefully so as not to apply unreasonable force, but bought a high tap to cover his immaturity Sorry for this result. This review is about item#08156355. I use the same or expensive items in repeat. It is easy to use. 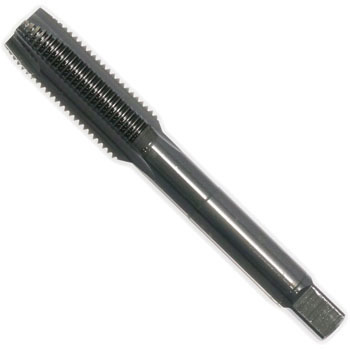 A nice place of OSG's tap is best for penetrating type screw stands as chips fall down. This review is about item#08156373. It got well, I was satisfied with durability so so. This review is about item#06622603. When assembling the control panel. Is it good? This review is about item#06299711. It is preeminent sharpness! It is! It is! Condensation prevention flare nut 3/8 "